Established in 1984, DIALOG is a leading integrated technical services provider to the upstream and downstream sectors in the oil, gas and petrochemical industry. Over the years, DIALOG has grown from strength to strength in the industry, both organically and through strategic alliances with internationally renowned technology partners. DIALOG is listed on the Main Market of Bursa Malaysia Securities Berhad (Bursa Malaysia) and has a market capitalisation of more than RM6 billion as at December 2014. 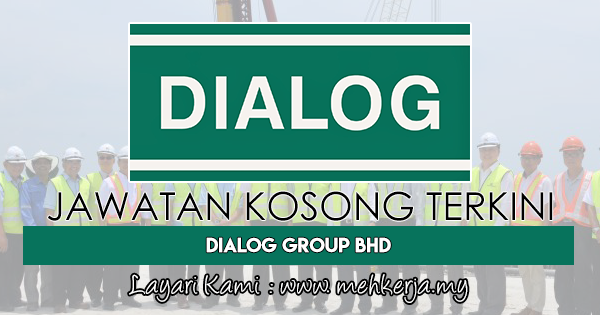 0 Response to "Jawatan Kosong Terkini di DIALOG Group Berhad - 9 Nov 2018"